Her roles in Us and Her Smell are proof that Elisabeth Moss is one of the most daring actors working today. Elisabeth Moss may not be a household name yet, but her face is one you’re likely familiar with. Her supporting roles on long-running TV shows The West Wing and Mad Men helped establish her career while she carved out a niche for herself in the American indie film scene. 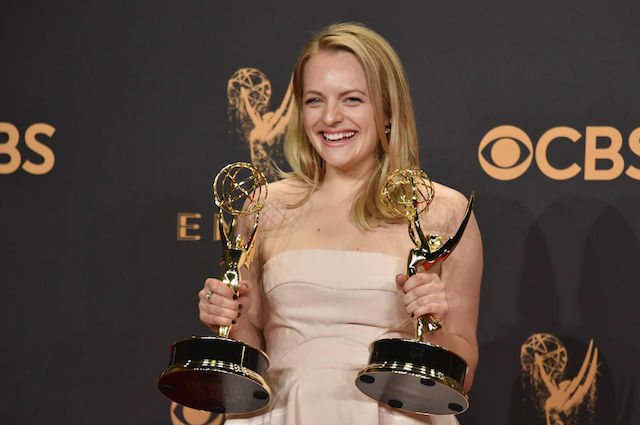 Her leading roles in Top of the Lake and Hulu’s The Handmaid’s Tale helped shine the spotlight on Moss’ unique talent, the latter of which catapulted her to an Emmy win. Two movies released this year will no doubt help to add fuel to the Elisabeth Moss fame train. The first of the two, Jordan Peele’s Us, features Elisabeth Moss in a supporting role that steals each scene she’s in. The second, Alex Ross Perry’s Her Smell, is slated for a limited release in April. Both Us and Her Smell showcase daring performances from Elisabeth Moss that prove she’s one of the most fearless actors of our time. Jordan Peele’s new movie Us debuted in theaters this weekend, pulling in a massive $70 million at the domestic box office. With only his second feature, Peele has set new records for the biggest opening day for a live-action original film and for best opening weekend for an original horror movie. It’s an awesome victory for a deserving film. 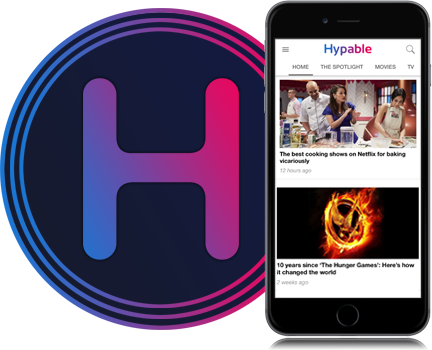 One of the many strengths of Us is its impressive ensemble cast, replete with diverse and skilled performers that breathe life into this unique cast of characters. A stellar performance from Lupita Nyong’o — who hasn’t had the opportunity to perform this well in years — as Adelaide, leads the talented cast that includes breakout star Winston Duke as her husband Gabe alongside Shahadi Wright Joseph and Evan Alex playing their kids Zora and Jason. In a cast full of talented newcomers, Elisabeth Moss is a familiar face whose supporting performance stands out as especially bold. This article contains spoilers for the plot of Us. Elisabeth Moss plays Kitty, a friend vacationing with her own family in Santa Cruz at the same time as Adelaide and her family. We first meet Kitty and her husband Josh at the beach. At first, Elisabeth Moss’ role appears to function primarily as a comedic device. Kitty, clad in cheap sunglasses and an elaborate caftan with a fashion magazine in her lap and a glass of rosé in her hand, tries and fails to make conversation with a distracted Adelaide. She expresses her marital frustrations toward her husband, reveals her recent facelift and alcoholic tendencies, and even calls Adelaide a “whore” for aging well. To say that Elisabeth Moss steals the scene with her comedic timing and unique screen presence is an understatement. Her performance brings a levity to the movie that contrasts the tension that reverberates from Lupita’s performance as Adelaide. In fact, Moss so funny in this scene that it may be tempting to say her performance is only serving a comedic purpose. However, this is only half of what Moss has to offer in Us. Later in the film, we are introduced to Kitty’s evil doppelgänger. After brutally killing off the version of Kitty we met on the beach, we bear witness to the deranged version of her; if there’s anyone that can play unhinged, it’s Elisabeth Moss. In just a few minutes of screen time, Moss gives Kitty’s tethered doppelgänger a personality of her own. Unable to speak, Moss uses her face to communicate with the audience revealing a contorted and warped version of Kitty that is arguably one of the scariest things in the movie. What’s even more impressive about Moss’ performance as Kitty is how the role transcends simple scares. A closer look at the role reveals how Kitty works as a foil for Adelaide’s character, an added layer of characterization that might have been lost without Moss’ skill and fearlessness. Adelaide and Kitty are two polar opposite depictions of motherhood. In the beach scene alone, Adelaide demonstrates concern for her children, sensitivity toward her husband, and a cautious and perceptive attitude toward her surroundings. Adelaide’s characterization is distinctly different from Kitty’s, who is portrayed as ambivalent to her husband and children, unconcerned with anything that doesn’t directly affect her. It’s difficult to imagine the role of Kitty coming to life in the way it does without Moss’ performance. Her commitment to playing Kitty surely walks the line between character and caricature, but Moss inhabits that space with ease. Even when she plays the most over-the-top characters, she never loses her sense of authenticity. It’s that quality that makes her role in Alex Ross Perry’s Her Smell so electrifying. 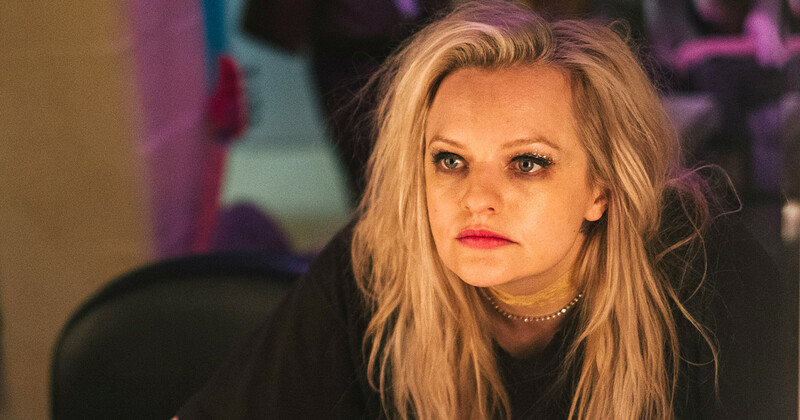 Elisabeth Moss leads Her Smell in the role of Becky, the lead singer of a punk rock band named Something She. The film is a portrait of a woman undone, an off-the-rails and destructive punk rocker struggling with sobriety, motherhood, and success. The movie uses a controlled five act structure that tracks Becky over particularly notable moments in her life. Each act of Her Smell mines deeper into the increasingly chaotic sphere of Becky’s influence and Becky herself. We come to understand her through her tenuous relationships with her family and bandmates, her destructive drug and alcoholic addiction, her violent outbursts and emotional aggression, and her connection with music. Watching Elisabeth Moss navigate these situations is like watching a high-wire act — it is both difficult to watch yet continually impressive. Even during those moments in Her Smell that push the limits, moments that may grate on the audience, it’s impossible to imagine anyone but Elisabeth Moss who could pull it off. Elisabeth Moss’ roles in Us and Her Smell share a certain ugliness — not necessarily physically, although Moss clearly has no hang ups about that. There’s an ugliness baked into these characters — they are deeply unlikeable, frustratingly selfish, and at times, monstrous. Yet Moss infuses even the most wicked characters with a sense of purpose and sincerity. She refuses to play these characters as simple facades and that skill makes her one of the most fearless actors working today. Both Us and Her Smell are worth seeking out for several reasons, but Moss’ performances are high on the list. These movies kick off what looks to be a banner year for Moss, who is also set to star in two more films this calendar year. In The Kitchen, Moss will star alongside Melissa McCarthy and Tiffany Haddish as mob wives who take over the family business when their husbands are sent to jail. In Josephine Decker’s Shirley, Moss plays an acclaimed horror writer that finds inspiration for her next project after she and her husband begin boarding a young couple. For audiences looking for more of what Elisabeth Moss has to offer, 2019 is shaping up to be a pretty great year.